Bearing hard wood required for making furniture these trees are unique in their own ways. In an attempt to protect the endangered species from the fatal hand of poachers and from the terrible environmental hazards, Sitanadi Wild Life Sanctuary was established in the year 1974 under Wild Life protection Act in 1972. It is henceforth a bio-geographical province. The Indo Gangetic plain has deliberately been chosen as a home to these animal species in order to ensure a proper spot for sustenance where water problem would not be there. There are many other varieties of trees found here at Sitanadi Wild Life Sanctuary, Chhattisgarh including a wide collection of Terminalia, Anogeossis, Pterocarpus, and bamboo. The fauna in Sitanadi Wild Life Sanctuary in Chhattisgarh consists of Tiger, leopard and Jackal. These are mainly carnivorous varieties that live on other animals. 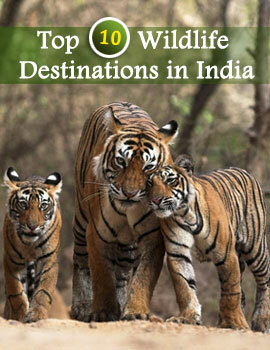 Others found at Sitanadi Wild Life Sanctuary includes Dog Cuon Alpinus, Chital Axis, Sambar, Nilgai and Gaur. Wild Boar is also found in abundance at Sitanadi Wild Life Sanctuary, Chhattisgarh. The constant grazing of cattle from nearby villages depletes a minor amount of forest product while another small part is destroyed by village collection for their livelihood; Government fails to stop them on humanitarian grounds. The nearest Airport is at Raipur located 170 kilometers from here while the nearest railhead is at Dhamtari at Raipur. 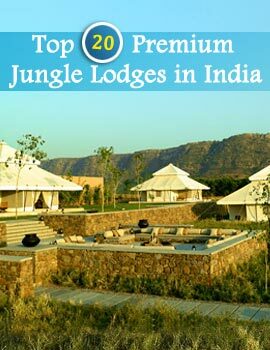 Come with your friends and family to enjoy the serene backdrop amidst the Sitanadi Wild Life Sanctuary in Chhattisgarh.